The Ziggodome in Amsterdam will be a giant home for Bruno Mars fans in Holland in May 2017. On the ninth and the tenth of May the fantastic artist will perform in the most popular concert venue in Amsterdam. Did you know that the real name of Bruno Mars is Peter Hernandez? This famous artist was born on October 8th back in 1985, making him 31 years by the time he comes to Amsterdam to perform in May 2017. 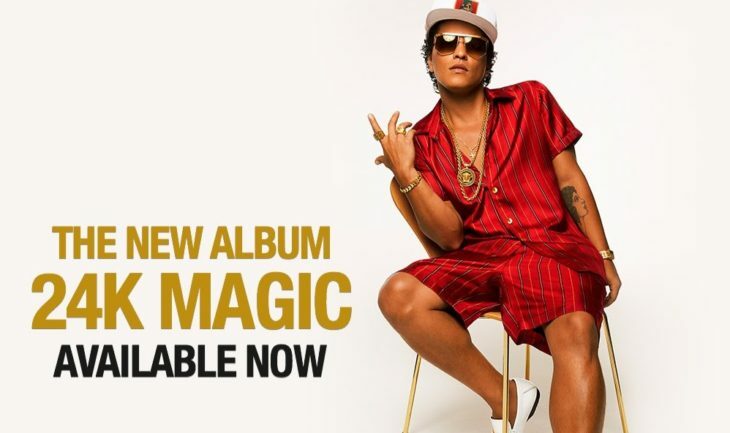 He was born in Hawaii, but instead of spending his daily life surfing and swimming at the beautiful beaches of Hawaii, Bruno Mars will rather tour the world up and down in 2017. On May 9th and 10th he will come to Amsterdam, but before coming to Amsterdam Bruno Mars will perform in Sheffield in the UK. After his two concerts in Amsterdam the road goes to Zurich in Switzerland where he will perform on May 12th. For more information about concerts, events and exhibitions in Amsterdam, look around here in our Amsterdam Guide. To be there at some other Bruno Mars concerts, buy tickets at the ticket link above. You can also visit the WorldCityGuides website for news from other cities in Europe. On June 2nd Deep Purple will sing and play in the Ziggodome in Amsterdam. Would you like to be there in the audience to enjoy the Deep Purple concert in Amsterdam? Deep Purple is on a big tour all around the world in 2017. Not only will they visit lots of cities in Europe, but once they are finished in Europe the band will travel to the United States to perform there in August and September in 2017. The concerts in Europe will start with their performance in Bucharest in Romania in May, followed by an event in Zagreb and then later in Vienna, before the band will travel on and visit nations such as France, Germany, Poland, Czech Republic and the Netherlands. And yes, on June 2nd the band will arrive to Amsterdam to perform in the Ziggodome. Would you like to be there in the audience on the second of June? If you press the ticket link beneath you will get to a site where you can buy tickets for all the Deep Purple concerts in 2017, including the concert in Amsterdam. If you want to do something more while in Amsterdam, then you can also find tickets for all Ajax Amsterdam matches at the mentioned website. For more information about other attractions, the coolest hotels, the most interesting museums or maybe about local transportation in Amsterdam, simply read around here in our Amsterdam Guide. 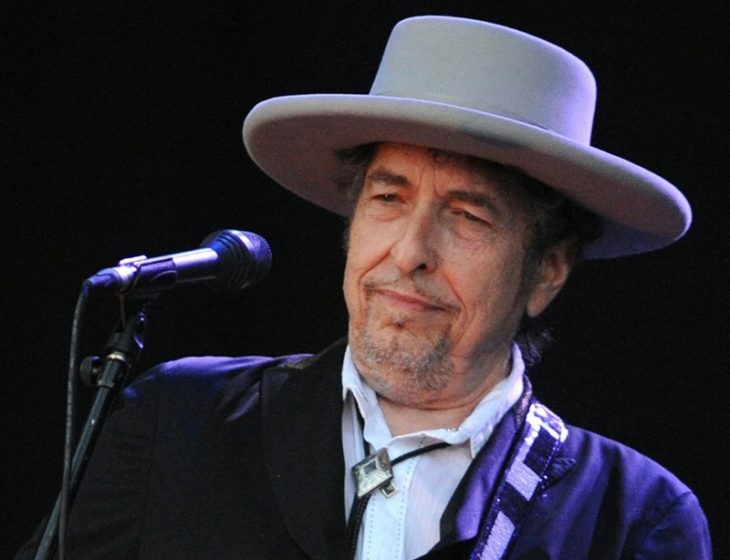 Bob Dylan will visit several European cities during the spring of 2017. But, there is only one city that can enjoy three Bob Dylan concerts and that is Amsterdam! Want to be there at one of the events? The first Bob Dylan concert in Amsterdam will be arranged on Sunday the 16th of April. The following concert will be arranged one day later (Monday) and the last concert will be arranged on the 18th of April, a Tuesday. Pick a day and go listen to Bob Dylan on the day that seems to suit you and your travel arrangements in the best possible way. And while in Amsterdam you should of course not miss out on great programs such as a canal cruise, a bicycle trip in the city and maybe an excursion to some other interesting city in the Netherlands. Our Amsterdam Guide is packed with information about these and other programs, so look around. If you have lots of spare time then a day trip to Brussels can be recommended. For more information about Brussels we recommend that you visit the Brussels Guide at www.brusselsguide.net. If you press the ticket link above you will visit Viagogo, a site where you can buy tickets to all the different Bob Dylan events in Europe in 2017. Did you know that Bob Dylan also will perform in Glasgow in Scotland, in Hamburg, Frankfurt and Dusseldorf in Germany, in London and Manchester in England and lots of other cities all across Europe. On July 29th it is time for the second last U2 concert in Europe in 2017. The Joshua Tree Tour will stop in Amsterdam on July 29th and the venue for the event is the home of Ajax Amsterdam, the Amsterdam Arena. Would you like to be there at the U2 concert in Amsterdam? U2 will arrive to Europe from the United States for their first concert in London on July 8th. You can read more about that concert in our London Guide. But, after that they will travel to Berlin in Germany, then to Rome in Italy, from there Barcelona in Spain, then to Dublin in Ireland, then from Dublin to Paris in France, and from Paris to Amsterdam. And once U2 has performed in Amsterdam they will get back on the road for a short trip to Brussels where they will have the last concert during their Joshua Tree tour in 2017. Would you like to be there at the U2 concert in Amsterdam? An extra U2 concert will be arranged at Amsterdam Arena in Amsterdam on July 30th. Tickets can be bought using the link beneath! The Amsterdam Arena is a great venue for great and big events such as this one. To get your hands on tickets for this U2 event in Amsterdam in 2017 you can use the ticket link beneath. If you would rather use your money for something else, then a canal cruise in Amsterdam is a great way to spend money while having a great meal and watching some beautiful attractions at the same time. To find out more about what’s going on in Amsterdam, check our events calendar here in the Amsterdam Guide. If you would rather just read about the attractions of Amsterdam, or simply want some info about public transportation in Amsterdam, then you will find that as well here in our guide. We wish you a fantastic stay in Amsterdam! If you want to prepare for the concert and buy the Joshua Tree album from U2 created in 1987, then you can do so from Amazon.de. And yes, you can actually access Amazon.de in Dutch. You can read more about it right here. The newest addition to the Star Wars series has been released and you can now watch it lots of cinemas all across Amsterdam and in all of the Netherlands. Star Wars fans have been waiting for Rogue One to be released for a long time, at least since the arrival of the last Star Wars movie, The Force Awakens. If you do not know much about Star Wars than watching this movie might be a brilliant way to start your relationship with the Star Wars series. If you have seen a whole lot of Star Wars movies earlier, then this is a brilliant movie that will make your knowledge of the Star Wars series even greater. And to make everything even better, make sure to visit Netflix as well while in the Netherlands. A common consequence of watching this movie is that you will long to watch Star Wars: A New Hope later (that is the first Star Wars movie in chronological order dealing with year of creation, but looking at the story it is the 4th in the Star Wars series). Now Rogue One has arrived to cinemas in Amsterdam and if one would try to place this movie in the historical order then this could be counted as Star Wars 3 1/2 as the story is coming in just between the third and the fourth movie. And guess what? Since you are located in the Netherlands you can visit Netflix.com and watch Star Wars: A New Hope and all the other Star Wars movies on Netflix (including The Force Awakens). What are you waiting for? Go and find a cinema somewhere in Amsterdam, watch Star Wars: Rogue One, and then go home to your hotel-room afterwards to visit Netflix.com and watch all the other Star Wars movies as well! Have a great time in Amsterdam and enjoy watching Star Wars: Rogue One. Would you like to celebrate the new year with Andre Rieu in Amsterdam? Come to the Andre Rieu concert in Ziggodome in Amsterdam on January 7th in 2017. Now you might have thought that a New Years concert with Andre Rieu in Amsterdam would be arranged on January 1st or 2nd, but unfortunately it isn’t. But, if you are willing to wait for a few days you have an amazing opportunity to listen to André Léon Marie Nicolas Rieu live in Amsterdam. The musician who was born on October 1st in 1949 will travel to lots of cities in Europe in 2017, but the first stop will be in Amsterdam. After his concert in Amsterdam he will travel to Brussels where he will perform on January 8th, the day after the concert in Amsterdam. Would you like to experience Andre Rieu live as he comes to Amsterdam to perform? That is understandable. There are few artists in the world with such a fantastic talent, amazing humor and such leadership skills as Andre Rieu. Come to enjoy the concert in Amsterdam if you are interested. Would you like to be there at the concert? You can buy tickets using the link beneath. There you can also check out the prices for tickets to the other Andre Rieu concerts. What does the dream day in Amsterdam look like? What about a visit to the Van Gogh museum, followed by a lunch, a canal cruise and then an Andre Rieu concert in the evening? Can’t become much better than that, can it? Did you like the sound of that dream day? You can read more about the Van Gogh museum, about canal cruises and other Amsterdam activities here in our Amsterdam Guide! On May 7th it is time for an amazing concert event in Amsterdam. Depeche Mode will perform in Ziggo Dome and you can buy your Depeche Mode tickets if you want to be there. Depeche Mode is a British band formed in the start of the 1980s. Since then they have not really lost popularity, but it is rather increasing. It is a fact that the most visited concerts in Budapest throughout history actually has been several of the Depeche Mode concerts in the city, and the same is true for several other cities. While most artists perform in smaller venues, Depeche Mode do their concerts outdoor at the giant stadiums. That is why it is a little surprising that Depeche Mode will perform in the Ziggo Dome while in Amsterdam and not at the Amsterdam Arena. There is however a reason for this and the reason is that Ajax Amsterdam will play against Go Ahead Eagles on Amsterdam Arena only a few hours before the Depeche Mode concert (on the same day). 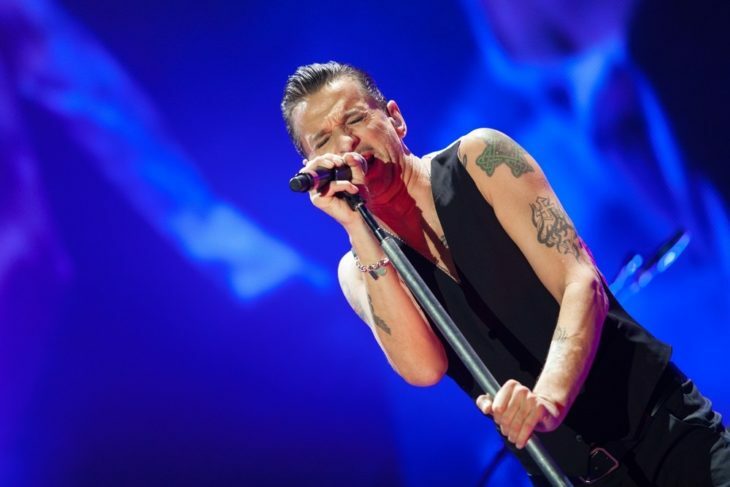 As a result it would be impossible to get all the preparations for the concert in order, and thus Depeche Mode will have to perform in the much smaller Ziggo Dome instead. In addition to the Depeche Mode concert in Amsterdam the band will also perform in cities such as Paris, Prague, Bratislava, Copenhagen, Stockholm and Berlin. If you would like to be there at the Depeche Mode concert in Amsterdam in 2017 then you can buy your tickets right away. At the link beneath you will be able to buy them. You might find the Depeche Mode tickets to be a bit expensive, but if it is important that you are present at this concert, then you will probably have to pay quite a bit to be there. Enjoy your stay in Amsterdam and do not forget that you can read more about canal cruises in Amsterdam and other activities here in our Amsterdam Guide. On the last day of January in 2017 Green Day will come to Ziggodome to perform. Want to be there at the Green Day concert in Amsterdam? Green Day is a fantastic band and they have made some amazing hits throughout their history. As they now come to Amsterdam again it is a chance for old fans to renew their fire for the band, and new people to discover the fantastic punk music created by Green Day. If you want to be there at the Green Day concert in Amsterdam in 2017 then you should of course buy tickets for the event as soon as possible. Tickets for this and all other Green Day concerts in 2017 can be bought from Viagogo. The Green Day concert in Amsterdam will start at 19.00 on January 31st. This is only one out of many Green Day concerts in Europe in 2017. In addition to Amsterdam they will also visit Krakow, Prague, Berlin, Oslo, Stockholm, Bologna, Turin and lots of other cities. Two days after the Green Day concert in Amsterdam the band will perform in Brussels, so if you are a fan, then you could consider traveling to Brussels to check out the Green Day concert here on February 2nd as well! Do not forget that you can read more about attractions and activities in Amsterdam here in our Amsterdam Guide. We hope you will have a delightful stay in the Dutch capital! By a coincidence we recently bumped into the news that Amazon.de (German Amazon) is now also available in Dutch. If you prefer shopping in the German Amazon Store, but still in Dutch, then you can do so now. It was in the following article that we read about how you can visit Amazon.de in both English and Dutch. This is brilliant in many ways. Since Germany has a population near to 80,000,000 people there are lots of people there who do not speak German, or at least before their home languages to German. That has been fixed by Amazon.de recently as they have added support for both the English and the Dutch language. In that way you can read more about the different products in both Dutch and English, and you can get instructions on shopping and much more in your own language. What should you buy on Amazon if you do so? And why shop from the German Amazon store instead of the Dutch Amazon store? If you live in the Netherlands you should probably by from your local Amazon Store. But, there might be some products that you can not get access to in the Dutch Amazon Store, which you however can buy in the German store. If that is so, then this will come really useful for you. Then you can also forward your packages from Germany to the Netherlands easily (if that is needed as Amazon.de does not send all sorts of deliveries to other countries), and in a few minutes from now you can have ordered your first package from Amazon.de in Dutch and get it sent to your home address in the Netherlands. We have not tried this ourselves yet, but it seems to work very well, so go ahead and visit the German Amazon store in Dutch to give it a try. Is it cheaper on Amazon.de than on Amazon.nl? The products available in both stores normally run with the same prices. But, if you visit Amazon.nl you will simply suffer, as there are so few products available. You can not buy lots of Amazon products (like Fire Tablets, Amazon Echo), you can not buy the most modern cell phones (Samsung Galaxy S7) and so much more. And that is why you will want to visit Amazon.de in Dutch and shop from there instead. What do you think? Will you try to shop from Amazon.de in Dutch? Most people in the Netherlands had a nice summer and a long holiday. Since they did not even participate in Euro 2016 people could do something else. But, it can’t happen that Holland will not qualify for two big tournaments in a row. But, it won’t necessarily be easy to get to the World Cup 2018 which is to be organized in Russia. On the paper group A in which Netherlands will play is among the toughest of them all. Together with them in group A we can find the runners-up from the Euro 2016 final France. That is for sure among the best teams in Europe, so not easy at all. Then we have Sweden, a nation for which Zlatan Ibrahimovic has said he won’t be playing anymore. That is of course good news for the Netherlands, but Sweden can be a tough nut to crack still. Besides Sweden and France the Netherlands will also play against Belarus, Bulgaria and Luxembourg. Bulgaria is not an easy opponent, while Luxembourg is a team that the Netherlands should be able to beat easily. Belarus should be beaten, but on a bad day Belarus can surprise as well. When will the Netherlands play? The first match for Holland will be played on September 6th against Sweden (in Sweden). Then in October they will get the chance to play against Luxembourg and France. The first match will be played on October 7th against Belarus at De Kuip in Rotterdam, and on October 10th against France at Amsterdam Arena. If you will come to Amsterdam to watch the match against France, do not forget to visit the beautiful attractions of the city as well while in town. If you want to watch the different qualification matches online, then you can find lots of information and news related to this at watch-sports.org.